President, Jason Acker, presents President-Elect, Dayong Gao with the CryoFellow Medal at CRYO2017. The 2018 CryoFellows Nominations Committee is now soliciting nominations for the appointment of new CryoFellows. This Committee, consisting of three members of the Board of Governors and two CryoFellows, evaluates the nominations and makes recommendations to the Board for approval of new Fellows. 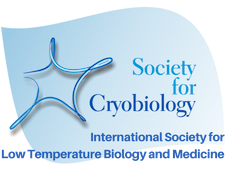 The Society for Cryobiology established an award and medal of CryoFellow just over a decade ago in recognition of members of the society and individuals from the cryobiology community at large who have had an outstanding impact on the field. (2) a detailed resume for the nominee. I suggest you contact the proposed CryoFellow to discuss their nomination before proceeding and to obtain the resume from the nominee. Please note the nominated individual must be living at the time that he or she is nominated. If there is someone you would like to nominate, or you would like to have an informal discussion before proceeding with nomination, please email me at [email protected]. Entry for the CRYO2018 Student Awards and Travel Grants is now open. 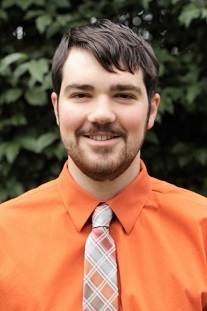 Ross Warner has been named the Critser Award winner for 2017.